Technology companies are focusing on a workplace strategy in an effort to attract and retain millennial employees, which has resulted in the leasing of significant amounts of space in the new developments across Metro Vancouver. 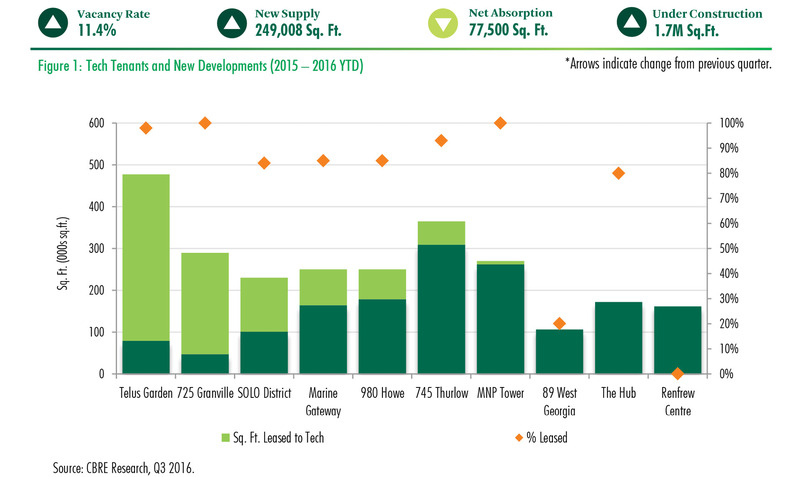 As of Q3 2016, a total of 2.6 million sq.ft. of new supply has been added to the Metro Vancouver market since 2015, 39% or 991,000 sq.ft. of which were leased by tech tenants.